Polycyclic aromatic hydrocarbons (PAHs) are environmental pollutants. Exposure to PAHs is associated with several adverse health outcomes. However, no previous study has examined the relationship between PAH exposure and functional dependence in an elderly population. 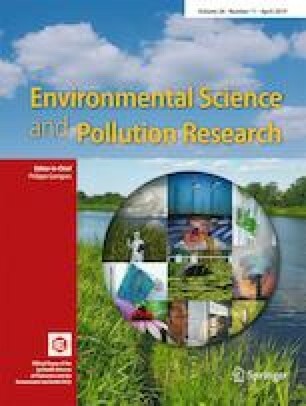 Our aim was to examine whether PAH exposure was associated with functional dependence including total disability, activities of daily living (ADL), instrumental activities of daily living (IADL), leisure and social activities (LSA), lower extremity mobility (LEM), and general physical activities (GPA) in an elderly population. A total of 5816 elderly adults from the National Health and Nutrition Examination Survey (NHANES) from 2001 to 2006 were examined. PAH exposure was measured by urinary biomarkers. Functional dependence was assessed by 19 structured questions. The association between PAH exposures with functional dependence was performed by using a multivariable linear regression model. After adjusting for pertinent variables, positive associations were observed between the total number of disabilities and 2-naphthalene and 1-pyrene quartiles (all Ptrend < 0.05). There was a dose-dependent relationship between 1-pyrene quartiles and all functional dependence domains, and the higher quartile of 1-pyrene was more closely associated with functional impairment (all Ptrend < 0.05). PAH exposure is associated with functional dependence in American elderly adults. Future research is needed to bring to light the pathophysiological underlying mechanisms related to these findings. Y-Y C contributed to the design of the study, was responsible for the management and retrieval of data, contributed to initial data analysis and interpretation, and drafted the initial manuscript. Y-Y C, T-W K, C-C W, Y-J C, C-J W, C-H L, and W-L C decided upon the data collection methods. Y-Y C and W-L C were also responsible for the data analysis decisions. W-L C conceptualized and designed the study, supervised all aspects of the study, critically reviewed and revised the manuscript, and approved the final manuscript as submitted. All authors meet the ICMJE criteria for authorship. Ethics approval was granted by the NCHS Ethics Review Board. All individuals provided written informed consent prior to study participation.